It’s already a week since DragonCon 2015 came to an end – and we’ve just about had time to draw breath and catch up on sleep! For any of you who haven’t had the chance to attend DragonCon, it’s one long party from Thursday night (although some would say that Wednesday is the new Thursday) to Monday evening. TORn staffers did their best to keep up with it all! We had our usual ‘fan table’ spot in the Hyatt hotel, where we sold t-shirts, buttons, lanyards and hoodies (from our good friends at LoTH Hoodies) and enjoyed catching up with fellow fans. There are folks whom we see every year at DragonCon, and it’s always lovely to see familiar faces, as people stop by to say hello. 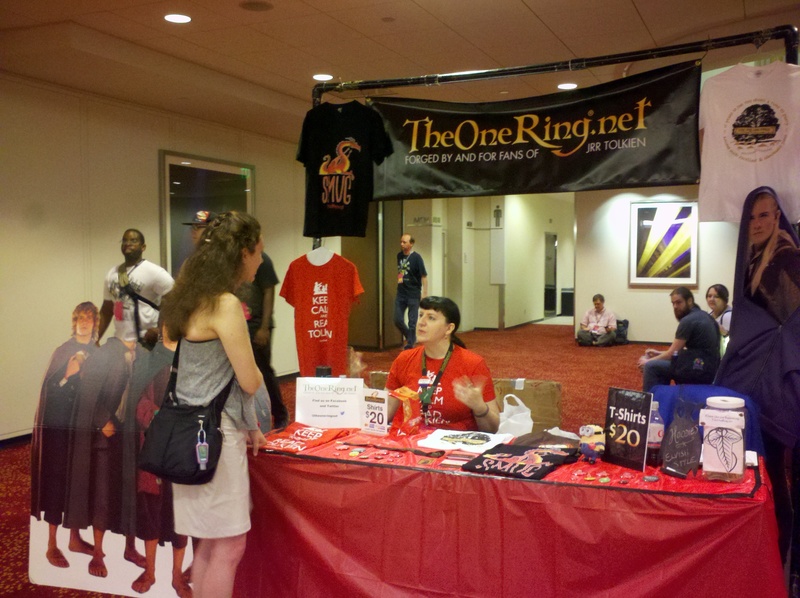 TheOneRing.net is at DragonCon – come and say hi! DragonCon is in full swing down here in Atlanta – and TheOneRing.net is in the thick of it! Staffers deej and greendragon are hard at work running our fan table – come by and say hello! We’re in the Hyatt opposite the entrance to the art show. We have new buttons for sale, with some fabulous artwork by our own staffer Mithril. We also have shirts, lanyards and hoodies for sale, and prizes to be won! Staffer MrCere, meanwhile, is very busy running the convention’s Tolkien Track. Their track room can be found in the Marriott, rooms L401-403 – lots of great panels to be heard in there. TORn will be giving a panel today (Saturday) at 2.30pm, in Hilton Grand Ballroom East, looking forward to what we might see in the soon to be released Extended Edition, and to what else is in the works for Tolkien fans; then tomorrow at the same time, 2.30pm, in Marriott L401-403, we’ll be looking back over the amazing journey we’ve all been on, through Peter Jackson’s movies and the fanbase which has grown up around them. Last night the track hosted the annual ‘Evening at Bree’, organized by greendragon. Our good friends Emerald Rose raised the roof and got everyone up and dancing. 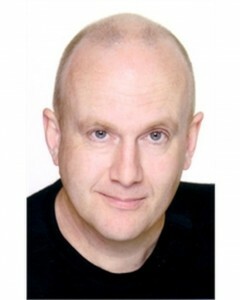 The lovely Stephen Hunter was a fabulous MC of the costume contest, which as ever was full of incredible entries – thanks to our judges, who had the very difficult task of picking winners! And cast members Dean O’Gorman, Peter Hambleton and Sylvester McCoy came by to say hello to the fans. At the start of the evening we took a moment to remember artist Jeff Murray and fellow fan Melissa Kern, who sailed into the West this year; it was wonderful to feel the love in the room and to know that this is a community which cares about and for one another. And finally – tonight staffer deej is living up to her name and DJing the ‘Middle-earth goes 90s’ dance party, 10pm in Marriott A601-602. Can’t wait to see the amazing 90s costumes folks will have dreamed up – Ringers are such creative folks! It’s all happening! Looking forward to seeing some of you over the weekend; and we’ll have pictures to share afterwards, for those of you who can’t be here. 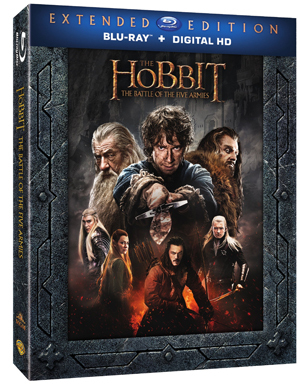 Battle of the Five Armies EE DVD available November 17! Burbank, CA, August 25, 2015 – The adventures of Bilbo Baggins come to an epic conclusion when “The Hobbit: The Battle of the Five Armies” from Academy Award®-winning* filmmaker Peter Jackson, is released as an Extended Edition on Blu-ray, DVD and Digital HD from Warner Bros. Home Entertainment Group. A production of New Line Cinema and Metro-Goldwyn-Mayer Pictures (MGM), the extended cut of the final film in The Hobbit Trilogy includes 20 minutes of extra footage and more than 9 hours of bonus features that will complete every Hobbit fan’s collection. 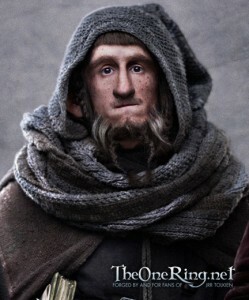 The film, the third in a trilogy of films adapting the enduringly popular masterpiece The Hobbit, by J.R.R. Tolkien, will be available on Blu-ray and DVD on November 17 and will be available early on Digital HD on October 20. Just a week or so back Graham McTavish (Dwalin), William Kircher (Bifur), Dean O’Gorman (Fili), and Peter Hambleton (Gloin) went on Canadian breakfast telly to talk about their experiences on the set of The Hobbit in the lead-up to their appearance at the C4 Central Canada Comic Con over the weekend. These dwarves aren’t afraid of Smaug! 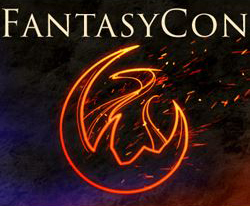 The first annual FantasyCon was an amazing weekend! Tens of thousands of fans from around the country and many actors from around the world traveled to beautiful Salt Lake City, Utah for an engagingly fun weekend of group panels, signings, photo ops and fireside chats. Here is a recap of some of the fun from several TheOneRing.net staff members who made the journey there. 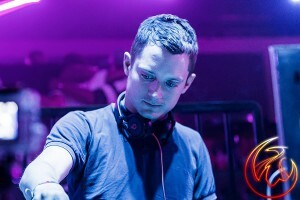 Starting off the week was an amazing dance night hosted by Frodo himself DJ ElWood! 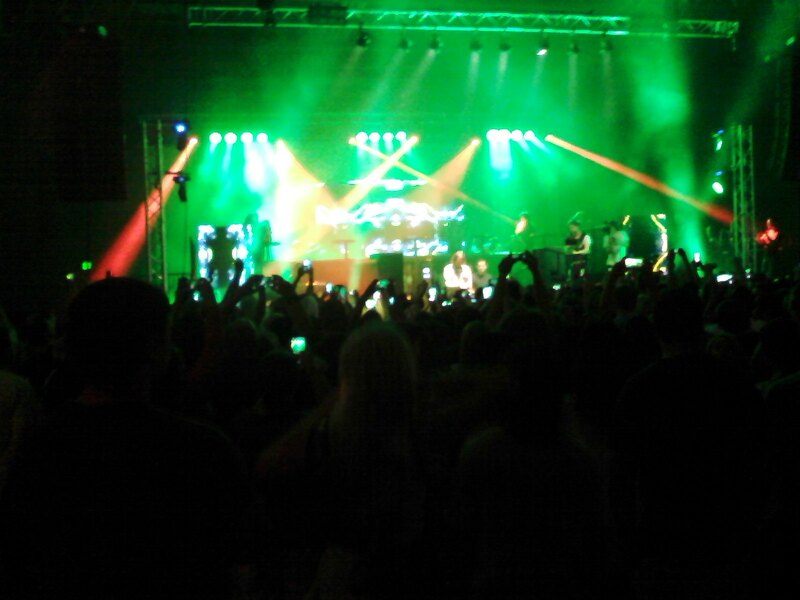 Elijah Wood is on the right in the center of the stage. Frodo has some groovy tunes! 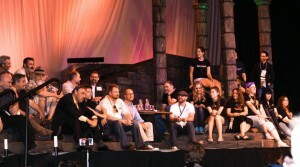 …and the staff of TheOneRing.net! The Official Day 1 of FantasyCon was yesterday, July 3 and was filled with cosplay, LARPing, music and heraldry. 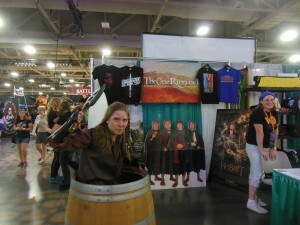 A few awesome Middle-earth costumers visited our booth, and we even had a Dwarf in a Barrel. The barrel and the 4 Hobbits standee proved to be quite popular with those holding a camera, especially the children. At 11am TheOneRing.net hosted their first panel at the convention with the Preview of The Hobbit: The Battle of Five Armies to an enthusiastic crowd. We fully expect that the trailer will be out by the time San Diego Comic Con rolls around in a few weeks, at which point our Preview panel will be dramatically updated. 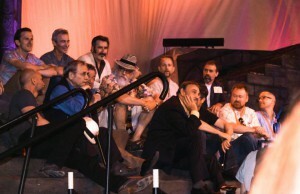 Near the end of the day, the entirety of the Tolkien programming track was introduced on stage at the Middle-earth kickoff party. 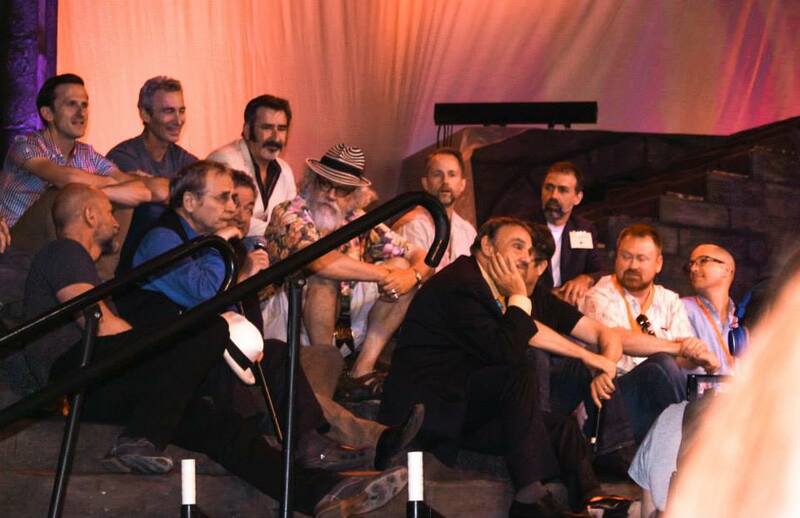 Artists, musicians, writers and TheOneRing.net staff on hand, plus an Avalanche of Dwarves, as John Rhys-Davies put it, a Wizard and a pair of Hobbits converged on the Main Ballroom stage to thunderous applause. Moments later, the entire room went silent, you could almost hear a pin drop, along with one wee Hobbit singing his heart out. During the panel, numerous questions were asked of many Dwarves, Hobbits and a Wizard, but none were handled with quite so much originality as the one about the Dwarven prosthetics. The day ended with the Red Party, a less bloody affair than the Red Wedding. Costumed denizens of Westeros and many other realms all danced the night away. SALT LAKE CITY — Elijah Wood isn’t joining fellow Fellowship actors Billy Boyd, Sean Astin and John Rhys-Davies for autographs and panels at FantasyCon July 3 – 5, but he is joining the adventure in other ways. The Daily Herald broke the news yesterday that Wood will DJ an evening event the night before it all starts to get FantasyCon rolling. 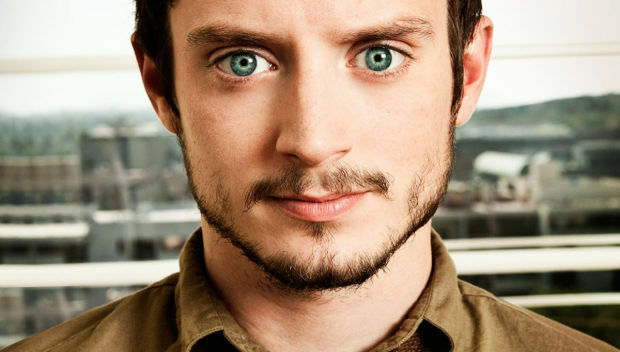 SALT LAKE CITY — At a press conference to announce its inclusion of Simon Pegg as a guest, FantasyCon said it has the largest contingent of Tolkien guests at a fan convention ever, including parts of the staff of TheOneRing.net. You can read the full article, including the announcement of Simon Pegg, right here. This modern play was described by Variety as, ‘One of the most bracingly intelligent, sizzlingly theatrical American plays in a decade’. If you’re lucky enough to be in Wellington between May 24th and June 21st, you can get tickets for this exciting production by visiting Circa Theatre’s website, here – and don’t forget to write and tell us about it! Note: MrCere here. ImladrisRose wrote this immediately after the convention but became very ill after getting home — very ill. So, after delivery, it took me a little bit to get it posted. She is on the mend and this is a major relief. Thanks for all your hard work IR! We do all wish you health and happiness. She also took many more photos and included more to post but technical issues made that impossible but we may upload some later. BONN — TORn staffers MrCere and ImladrisRose traveled to Bonn, Germany to attend HobbitCon2 over Easter weekend. While the journey was long, the excitement at the final destination made it very much worthwhile. HobbitCon is convention bred for a single purpose, to destroy every other con that came before. 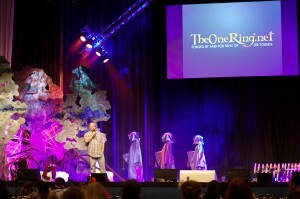 HobbitCon is all things “The Hobbit”, as if the title didn’t give it away. It is a kaleidoscope of Hobbity goodness, a gaggle of dwarves, masters in the film industry, a real life Tolkien and fans who’s boundless enthusiasm is something that has always made this particular fandom so stupendous! 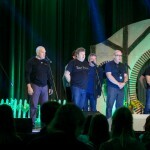 As someone who has been to conventions all around the US featuring so many different people involved in the Tolkien universe, HobbitCon was a completely unique, exhilarating experience. Not only was it packed with talks, workshops, lectures and unique experiences, but because everything took place at the Maritim Hotel in Bonn, the nightlife at this con made every other con I’ve been to seem well, lame! Taking place over the course of three days, HobbitCon is truly an event in which even the most die hard Tolkien fans that think they’ve heard it all will hear stories and take on experiences that will stay with them forever. The atmosphere of the con was very laid back, it felt very much as if Hobbits themselves were in charge because there was a constant feeling of camaraderie and all the good feelings of home amongst the guests and fans alike. This love infused environment allowed for everyone in attendance to truly immerse themselves in their time at the con and to feel fully relaxed, but most importantly, not to feel judged for who they are or where they come from or who has a better Thranduil costume. Everyone in attendance was cut from the same cloth and this feeling of uniqueness combined with similarity made everyone feel like family by the end. As people were saying goodbye to one another, tears were being shed. Beautiful. 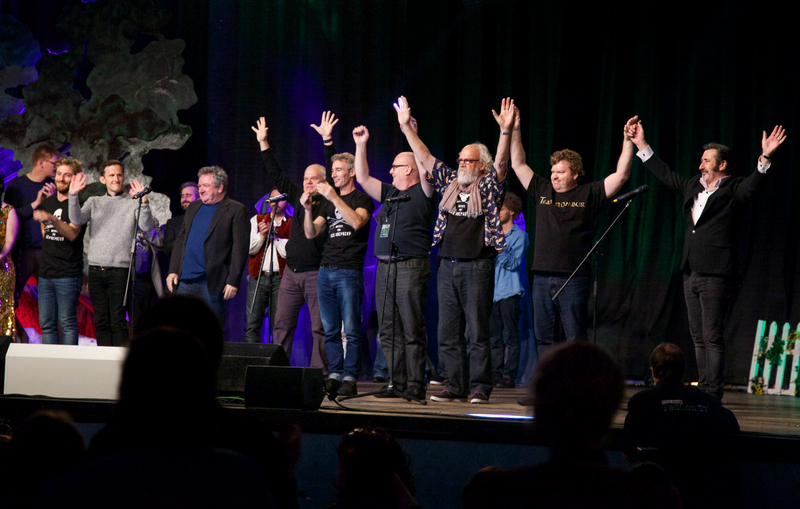 The fans at HobbitCon would not have had the incredible experience that they had if it were not for the absolute warmth and sincerity that oozed from each and every featured guest, including all of the actors. Never I have witnessed such an effort put forth from an events featured guests to make the fans feel so important and to take the time to have unique and memorable interactions at every possible turn. I remember seeing a woman dressed as Dwalin walking down the halls and Graham McTavish made a beeline for her and told her what a great job she did on her costume, He didn’t have to do that, but he did it because he wanted to. This again, is such an ode to the marvelous gift that Peter Jackson and co have for bringing the most awesome people on board to work on these films. It really says a lot. HobbitCon2 had an enormous amount of awesome guests which include but are not limited to: Ken Stott “Balin”, Adam Brown “Ori”, William Kircher “Bifur”, Stephen Hunter “Bombur”, Mark Hadlow “Dori”, Dean O’Gorman “Fili”, Peter Hambleton “Gloin”, Jed Brophy “Nori”, John Callen “Oin” and Graham McTavish “Dwalin”. Also in attendance were: Sir Richard Taylor, Royd Tolkien (great grandson of J.R.R. Tolkien), Mark Atkin (stunt/scale double for Richard Armitage) and our very own Larry D. Curtis. 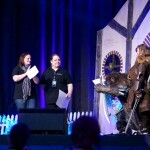 Saturday was opening day for HobbitCon. 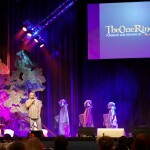 Last year was the first HobbitCon so guests from the previous year had very high expectations, and from what I gathered, no one was disappointed! The Opening Ceremonies took place in the evening, but there were many exciting talks and panels before hand. First up was a talk featuring Mark Hadlow “Dori” and Stephen Hunter “Bombur”. The banter between these two was fabulous as they eagerly answered questions from fans. Mark even had an interesting exchange with some of the set/stage decorations that looked to be either Ringwraiths or cloaked Elves! Up next was none other than Sir Richard Taylor, who walked out to a standing ovation, is the best public speaker I have ever encountered. His steadfast encouragement for people to follow their dreams is a true inspiration. After that was a hilarious talk featuring William Kircher “Bifur”, John Callen “Oin” and Peter Hambleton “Gloin”. They were such a hilarious trio and the fans simply adored them. Adam Brown “Ori” and Dean O’Gorman “Fili” were up next and out of all of the featured guests; those two seemed to always get the biggest reaction from the crowd. Their personalities are contagious and while they both told great stories, my favorite would have to be the one Dean told where he got stuck in a neighbor’s mailbox and the fire department had to rescue him. My favorite fan question was when they were asked how they would eventually propose to their respective girlfriends, to which they both acted it out which eventually led to Adam passionately kissing Dean. Shenanigans. The fans simply adore those two, frankly it is impossible not to. 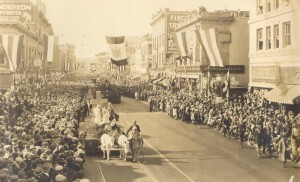 After a very short recess, the Opening Ceremonies began. HobbitCon is hosted by none other than Mr. Mark Ferguson (who you may know as “Gil-Galad” from LOTR). Mark is such a joy and his charisma made the event that much more charming. 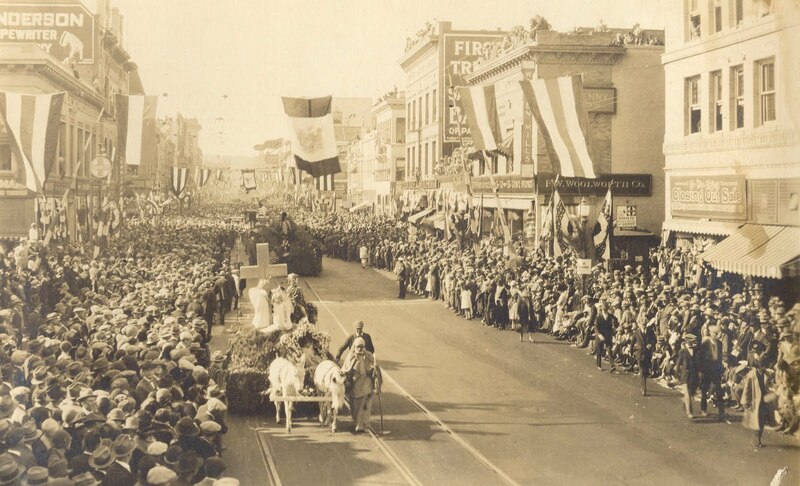 The sheer spectacle of the opening ceremonies has no rival in the convention world; it is its own animal and is something to truly be marveled at. The stage is filled with ever changing lights, cloaked figures, a large screen for better viewing of the speakers, and even a to scale Hobbit hole! After Mark did his introduction he introduced each speaker and panelist, the people who ran the various workshops and ended with introducing the events cast of characters who were met with boisterous applause from the audience who was on their feet cheering in excitement. Ken Stott received the loudest cheers from the fans, it was his first ever convention! Once the opening ceremonies were complete all the fans were ready to mix and mingle, as were all of the featured guests. The entire first floor of the Maritim is filled with lounge spaces, bars and dance floors. This is where the party was every single night of the con. On this particular night, the music was to the tune of oldies until about 10pm then the modern dance music came on. The films stars did not stay segregated in their own space, no, quite the opposite! They were interacting with fans at the bar, dancing on the dance floor, having real conversations about real life things (not just the books or films). These conversations were filled with a mutual respect and a sense of humanity that is rare in the world of conventions, but again that is a testament to the people in attendance, both guests and fans. It was such a welcoming atmosphere and such a joy to see such pure of heart interactions taking place. For me, the highlight of the night was seeing Dean O’Gorman and Stephen Hunter rip up the dance floor doing the moves to Beyoncé’s “Single Ladies” dance. One of the highlights of my life, really. 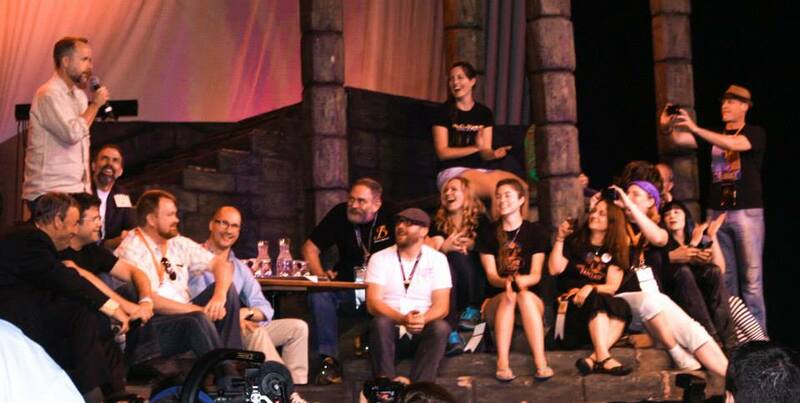 Most of our dwarven company took a spin on the dance floor, and that was what was so wonderful. How many times in your life do you get to dance with dwarves in Germany? 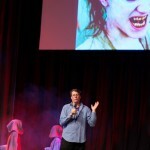 If you go to HobbitCon, it is very likely to happen since it did every single night this time around. Sunday kicked off with our second TORn panel “New Zealand is Middle Earth” done once again by MrCere. This panel seemed to be the best received by the fans, probably due to the beautiful imagery associated with the talk showcasing New Zealand in all its glory. The afternoon brought talks from many of the films stars in a variety of combinations. Each panel brought many laughs and a great deal of insight to both the on set experiences and the lives of our beloved dwarven company. There were two standout panels on Sunday. One of which was given by Royd Tolkien (great grandson of J.R.R. Tolkien). The audience was fully engaged and hanging on to every word he said, his charm captivated the audience and it was an honor to have had him there. He is so respected within the community and it was great to see that in person. 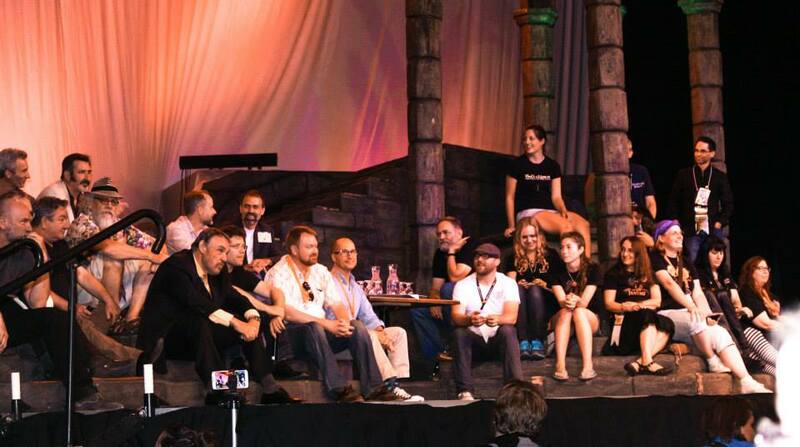 The second stand out for me would be the talk given by Mark Atkin (Richard Armitage’s scale/stunt double). His raw enthusiasm, not just for what he does, but also for it being his first convention, was wonderful and it was fascinating hearing his stories throughout the weekend. 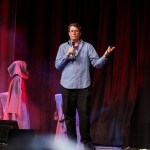 His perspective of working on these films is a welcome addition to any con as most of the featured guests at conventions are the more well known players, however Mark’s role in the films is a vital part in the creation of that universe, so hearing a unique perspective was both refreshing and fascinating. One of the huge draws to attending an event like this is the chance to meet and greet with your favorite star/filmmaker. Part of that opportunity means that you also have the chance to have your photo taken with one of the stars or get their autograph. The photo ops and autographs are an additional fee besides your ticket to the event, but it is always worth the experience, especially if your favorite character is there! These photo and autograph opportunities were taking place throughout the entire event at specific designated times. I witnessed fans shrieking in delight upon receiving their photo. Again, the constant enthusiasm of Tolkien fans is something I am so happy to be a part of and one of the many reasons I love this community so much. Early evening brought the conventions costume competition! Of all of the events I have been to, this convention had some of the most incredibly detailed costumes I have ever seen. The expert craftsmanship and the time that went into these stupendous creations is something to be marveled at. The costume contest had a panel of expert judges making all of the decisions! 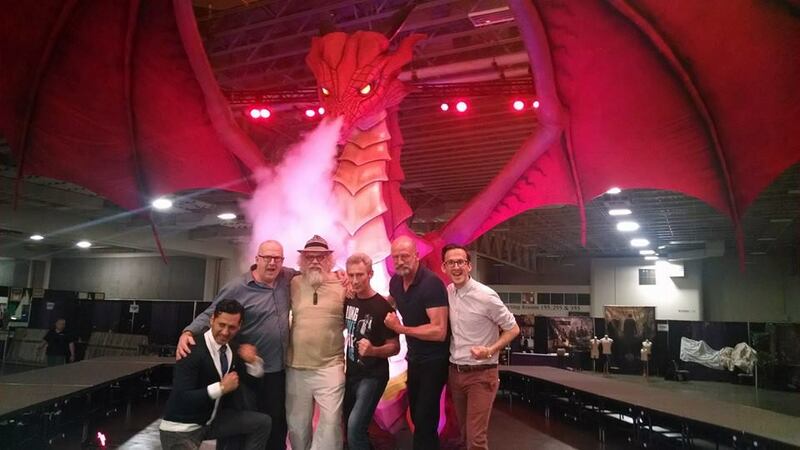 This panel included: Royd Tolkien, William Kircher, Jed Brophy, Sadwyn Brophy, and Sir Richard Taylor! The panel’s kindness and enthusiasm towards all of the contestants was so sweet and endearing. While there were many fabulous entries into the contest, my favorite was a Bilbo and Smaug duo. 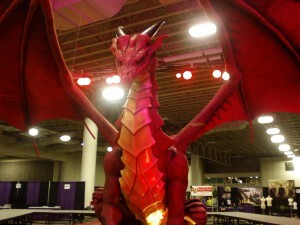 The Smaug costume was both unique and intricate, such a lovely interpretation. 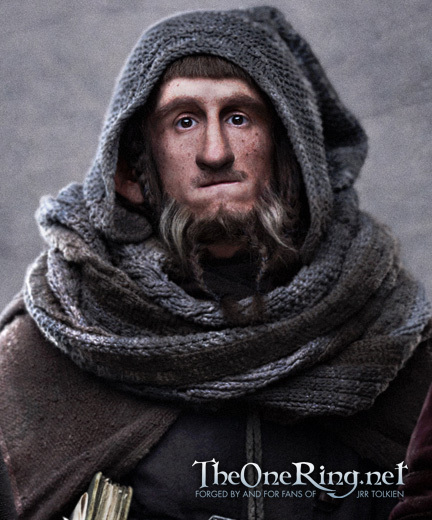 The winners of the contest were an exquisite pair of Thruandil’s, a Thorin so perfect you would’ve sworn that it was Richard Armitage himself in full costume and a perfect pairing of Bilbo and Smaug. The final panel of the evening was done by our very own MrCere and was aptly named “The Hobbit: A Front Row View”. The audience, as usual, had dedicated Ringers along with people who were just now being exposed to TORn. It is always great to see both familiar faces and to meet new people at these events. That for me has always been one of the greatest draws of conventions: a lot of these people you only see at events like this, except for following each other on Facebook or Twitter, but the friends you make at these cons really do become friends for life. Who else fully understands that aspect of you as a human being? Sunday evening filled the Maritim Hotel with yet another party all throughout the halls and rooms of the ground floor. The music was loud, the party hopping and the socializing was going on all night long. The fact that you can be ripping up the dance floor with Royd Tolkien or chatting over a drink with Stephen Hunter or Dean O’Gorman is something that really makes this event super magical. Everyone is on the same level, no segregation of celebrity vs. commoner. Everyone hangs out with everyone, everyone dances with everyone, everyone has a drink with everyone, and everyone talks with everyone. It was a fabulous experience and I know that everyone who attended has memories that will last a lifetime. The final day of the con, of any con really, is always filled with much love and sadness. No one ever wants to leave but is always filled with joy from the memories made but most importantly the new friends that were made. The morning brought another panel from the wonderful Mark Atkin, a panel from the amazing duo of Ken Stott and Graham McTavish, another panel from the fabulous Royd Tolkien and a final panel from the incomparable Sir Richard Taylor. Sir Richard Taylor began his talk explaining the history of WETA and all of the amazing projects they have worked on and what a powerhouse they have been in the film industry. Seeing the visuals attached to the history was both fascinating and moving at the same time. He is so passionate about what he does and I have always believed that if you aren’t passionate about what you do that you should be doing something else. After his introduction, the visuals kept playing in the background as he answered questions. It is astounding that at the heart of this juggernaut of a company is such a humble man who is probably the most gracious individual I have ever encountered. He took the time to fully answer every fan question and would almost always find a story that was relevant to tell to coincide with his answer, and then he would sincerely thank the fan for their question. He meant it too. It is easy to tell when someone is genuine and when they are not, he is genuine and sincere and we as a fandom are incredibly lucky to have him. I am a filmmaker and have been making movies since I was a kid (thanks to a film production company started by myself, my little sister and my mom called M.A.R.S. Productions). Much of our early work was LOTR related: including a three and a half hour parody of ROTK and a series named Middle Earth Idols. To simply say that Tolkien, Peter Jackson and Richard Taylor have been an inspiration and have been very influential in my life is probably the greatest understatement I could ever make. I have never not been a filmmaker, I don’t know how to be anything else, it’s just not who I am. During his talk, Richard said something that really stuck with me and pretty much sums everything up: “If you don’t wake up every morning and dedicate 100% of who you are to what you love, you will never be the version of yourself you are supposed to be. Artists or anyone creative need to be creating in order to be fulfilled as individuals. If we are not creating, we are not being who we are. That is why I live and breathe what I do. I would not be me if I did anything else.”. His words are eye opening and inspirational and if you have the opportunity to, please go see a talk or lecture given by him. I had never had the pleasure of meeting Richard Taylor until I was 7,000 miles away from home in Bonn Germany, but I did get the honor of meeting him. I ran into him in the lobby and was initially hesitant to walk up to him; he is someone I really look up to. The line from the movie “We Bought a Zoo” popped in my head where Matt Damon says “All it takes is ten seconds of insane courage to accomplish something amazing.” so I walked up to him and introduced myself. I was shaking the entire time, but I told him a little bit about me and how much I respected him and what an influence he has had on me in my career. We chatted for about fifteen minutes and it was the most delightful conversation I’ve ever had. He was asking me questions about my career and just genuinely engaging in the conversation which I thought was amazing. At the end of the conversation he gave me his card and shook my hand saying that he hopes we can maybe work together one day. Basically made my life complete by saying that. Never in a million years did I think that conversation would happen, but it did, and I am eternally grateful to HobbitCon for having him there and giving me that opportunity. The closing ceremonies took place in the early evening and allowed all of the fans to see the stars and lecturers one last time before departing. 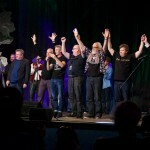 Everyone was met with immense cheers, Richard Taylor received a much deserved standing ovation and then the featured guests left the stage and thus HobbitCon had ended…. Almost. The actors who play our beloved dwarves emerged on to the stage one final time and lined up with microphones in front of them. They began to sing the Misty Mountains song. It gave everyone chills. It was the most incredibly awesome thing to witness and was the most perfect way to end such a wonderful event. What could possibly be better? !